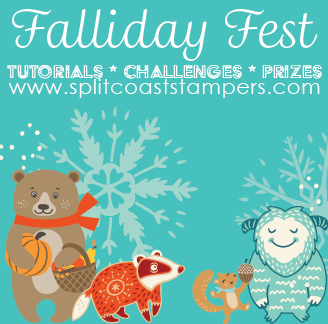 We are kicking off a brand new fall crafting event called Falliday Fest over at Splitcoaststampers today! For the next two weeks we'll be crafting and stamping up a storm, all in an effort to get ahead on some holiday projects AND to shower some card-shaped loved on 4 special charities. All that and chatter and recipes and amazing prizes from our sponsors, too! 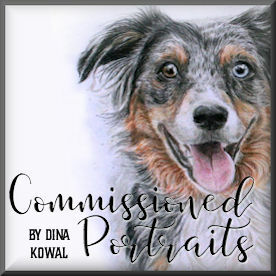 Hope you'll come over and join us! I've been working for weeks behind the scenes to bring you 10 amazing tutorials from our community - first up is this Punch Board Pumpkin! My board is in storage, so I made mine using a score-board template. These are so cute, and I think the decorations on top would look great on any size box (even a cardboard box!) or various sized wood blocks. I took a few shortcuts from the tutorial - these are leaves from a garland I got at the Dollar Tree, and the vines are made from natural wrapped wire that I wrapped around a pencil for shape.